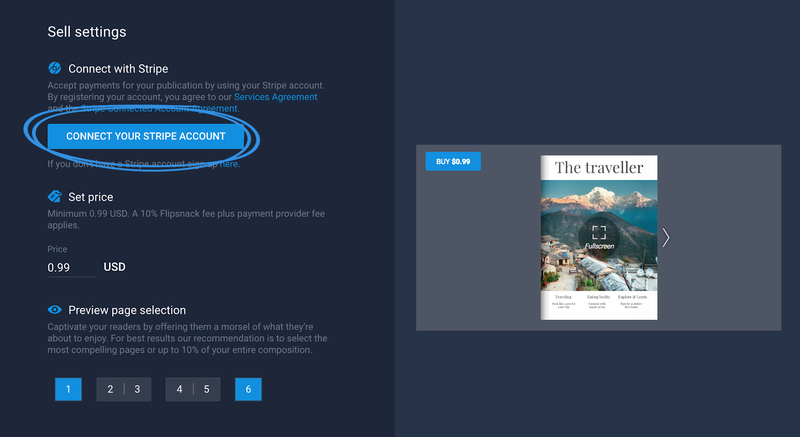 Find out how you change the Stripe account when selling a flipbook. If you have a flipbook set up for sale, you might find yourself in a situation where you need to change the Stripe account that is paired with your Flipsnack account. Don't worry, you can easily do that by heading over to Stripe's website and simply revoking the access to the current account. Simply head over to Authorized Apps and click on Revoke Access where it says Flipsnack. After that, you will be able to add a new Stripe account when setting up a flipbook for sale. If you are just getting started and want to learn how to set up your flipbook for sale, check out this article.